Police Department, City of New York black and white identification photograph number 18216. 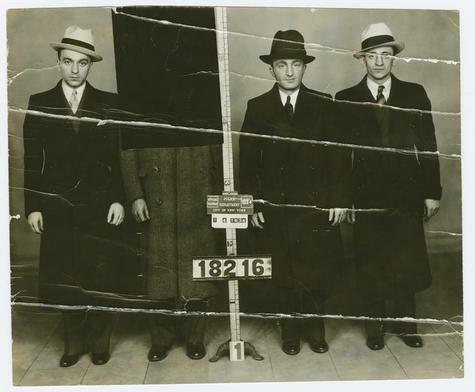 Group photograph of Philip Goldberg, Sam Edelman, Sol Silfan and Max Kopnosky. Upper half of body of Kopnosky removed Feb. 3, 1934. Full length portraits facing front.